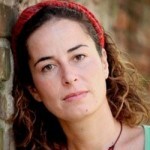 Pinar Selek is a writer, scientist, feminist activist, and member of Turkish PEN. She was born on 8th October 1971 in Istanbul, attended French grammar school, and studied sociology at Mimar Sinan University. She was involved in the organisation of several initiatives of the feminist movement and founded the feminist network Amargi for whose magazine she serves as editor in chief. In her publications, she addressed issues like the peace movement, discrimination of minorities as well as the connection between militarism and the development of gender identity. In the context of working on a sociological study concerning the Kurdish question, which was a thorn in the side of certain Turkish circles, she was wrongly accused of having committed a bomb strike on behalf of PKK that targeted a bazaar in Istanbul in 1998. She was imprisoned for two and a half years and severely tortured. Released from custody, she spent the majority of over twelve years of proceedings at large continuing her work. Three consecutive trials declared her not guilty. In her absence, a fourth sentenced her to life imprisonment under tightened terms on 24th January 2013. Background: Seven people died in an explosion during a busy bazaar in Istanbul in 1998 while another 127 were injured. Pinar Selek was among the people accused of having caused the explosion and she was therefore arrested and imprisoned in July 1998. In December 2001, expert testimony proved that the explosion in fact originated from a leak in a gas bottle and was therefore not a terrorist attack but a tragic accident. The court released Selek and the other defendants after two and a half years. Nonetheless, a new proceeding commenced in December 2005 and ended in June 2006 owing to the persistent lack of evidence that a bomb caused the explosion. Regardless, the court of appeal demanded the reopening of the case in March 2009 and rescinded the acquittal. The case was re-examined in May 2009 and the court found Selek not guilty once again. The court of appeal repeatedly raised objections and relayed the case to the Istanbul Heavy Criminal Court on 9th February 2010. At that time, Selek resided in Germany as a scholarship holder of the Writers-in-Exile Programme. In August 2010, Selek’s case was brought before the European Parliament and the accession division of the EU confirmed their awareness of the case and their intention of addressing it in conversation with the Turkish government. An arrest warrant against Selek was requested in June 2011 and issued in November 2012 after the district court had “revoked” the acquittal since the highest court of appeal had rejected the case. The prosecutor declared he was shocked by the decision to completely reopen the case. In a hearing on 13th December 2012, Selek’s defence counsel objected to the nomination of the judge who had rescinded the acquittal. The objection was overruled. On 24th January 2013, the 12th chamber of the Istanbul Heavy Criminal Court sentenced Selek in absentia to life imprisonment under tightened terms. Presently, Selek lives in exile in France. Sources: PEN International. Writers in Prison Committee. Caselist – Juli bis Dezember 2012. PEN-Zentrum Deutschland. +++ Update +++ After a hearing on 30th April 2014, the warrant and the initial sentence of life in prison was rescinded for the time being on 11th June 2014. Nonetheless, a court in Istanbul decided to continue the proceeding against Selek on 5th December 2014, revoking the international arrest warrant. This entry was posted by Writers in Prison. Bookmark the permalink.